Designed for solid performance against everything from boar and deer to elk and even bear, this .30-06 Springfield ammunition from Winchester comes loaded with Nosler AccuBond bullets. 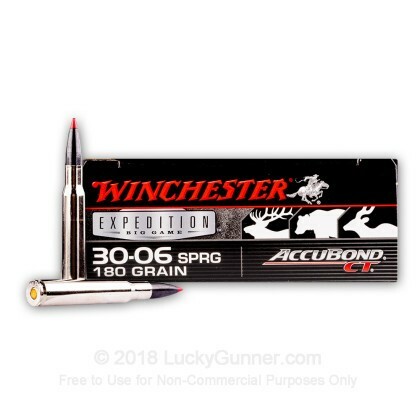 The AccuBond is a polymer tipped design that gives the bullet a more aerodynamic shape and enhances accuracy. 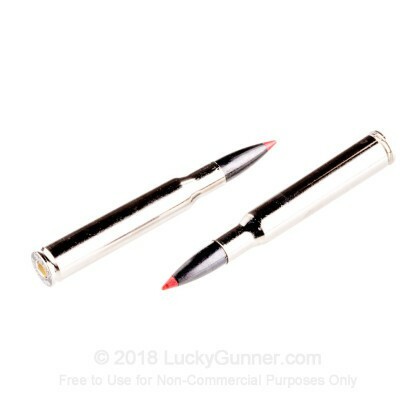 When the bullet strikes an animal, the tip peels back the tapered copper alloy jacket and pushes the lead core outward to produce the "mushroom" necessary for a clean kill. As the name suggests, AccuBond bullets have a bonded core and jacket for better weight retention. 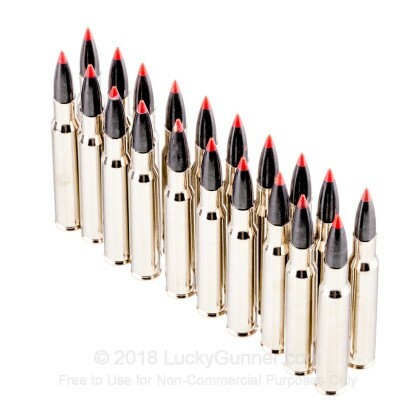 Each round in this box of 20 fires a 180 grain version of the AccuBond bullet at a muzzle velocity of 2,750 feet per second. 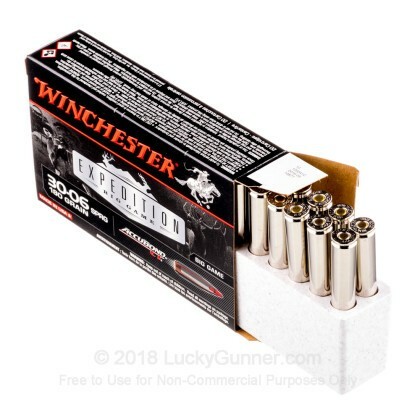 Like other Winchester ammunition, these cartridges use non-corrosive Boxer primers and brass cases. Winchester ammo is loaded in Oxford, Mississippi at a state of the art facility opened in 2011. The Oxford plant employs over 1,000 people and is the key component of Winchester's business, as Winchester firearms are license produced by FN. 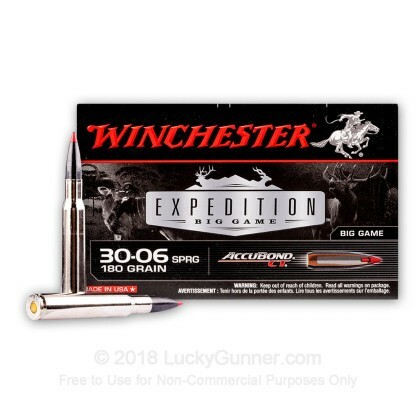 We don't have any reviews yet for this particular .30-06 ammo from Winchester. 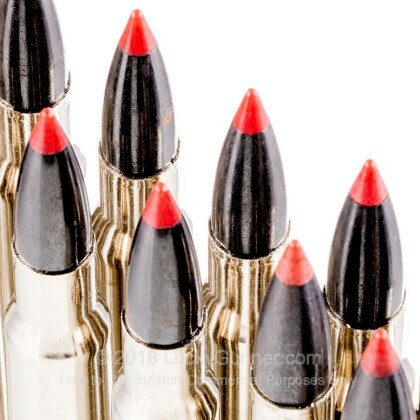 If you'd like to be the first to review this particular .30-06 ammo from Winchester, fill out the form below.